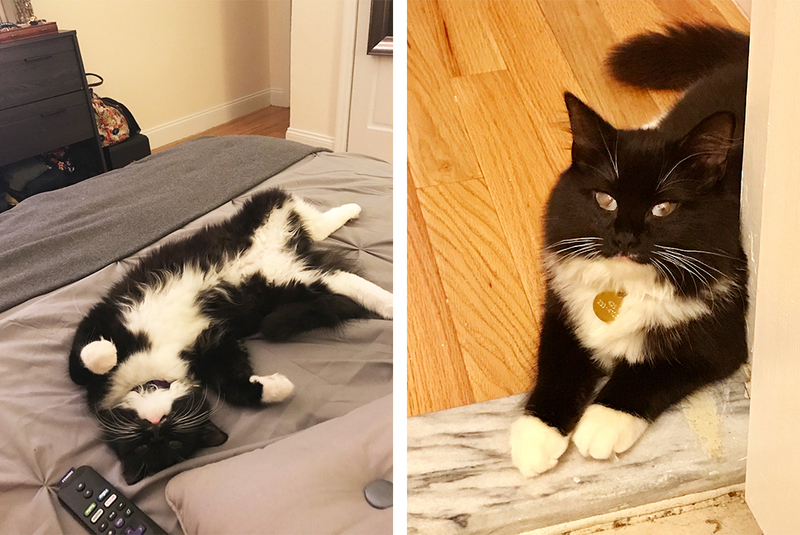 In August 2016, at barely two months of age, sweet Iolanthe (Greek for “violet”) was brought into the ASPCA after being found on the streets. At such an early stage in her life, the tiny, scared kitten needed immediate and intense care in order to survive, so she was admitted to the ASPCA Kitten Nursery. It was noted by the nursery’s veterinary team that Iolanthe was suffering from infections in both eyes, something that, although treatable, would cause permanent damage to her vision. Though Iolanthe’s eyes always maintained a “cloudiness” and her vision was limited, it didn’t stop her from thriving during her time in the nursery. After two months, Iolanthe had grown strong enough to transfer to the ASPCA Adoption Center and begin her search for a loving home. Though Iolanthe’s sweet and mild-mannered temperament became apparent to the staff at the Adoption Center over time, the team also noticed that she was extremely fearful and untrusting of humans. This isn’t uncommon in kittens who begin their lives as strays—but with the right adopter, lots of love and patience, a once-fearful kitten can become a beloved lap cat. Luckily for Iolanthe, the right adopter wasn’t far away. 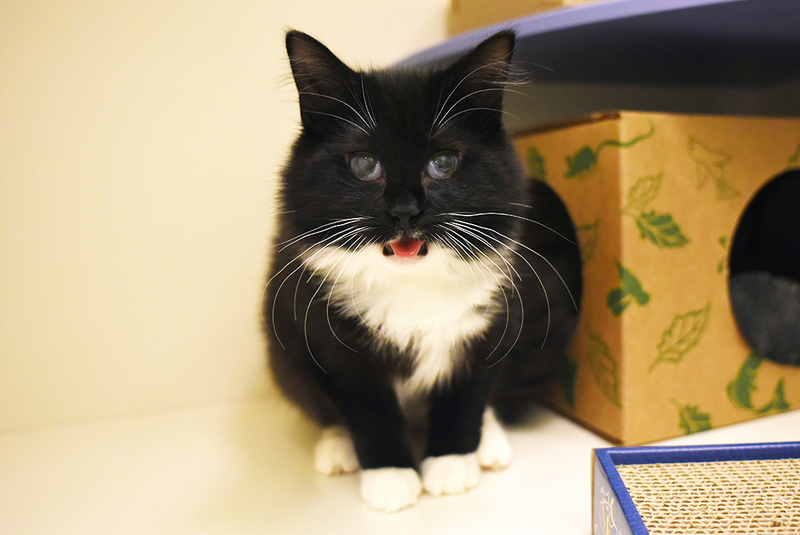 After a little over a month at the Adoption Center, the pretty black-and-white kitten caught someone’s eye. 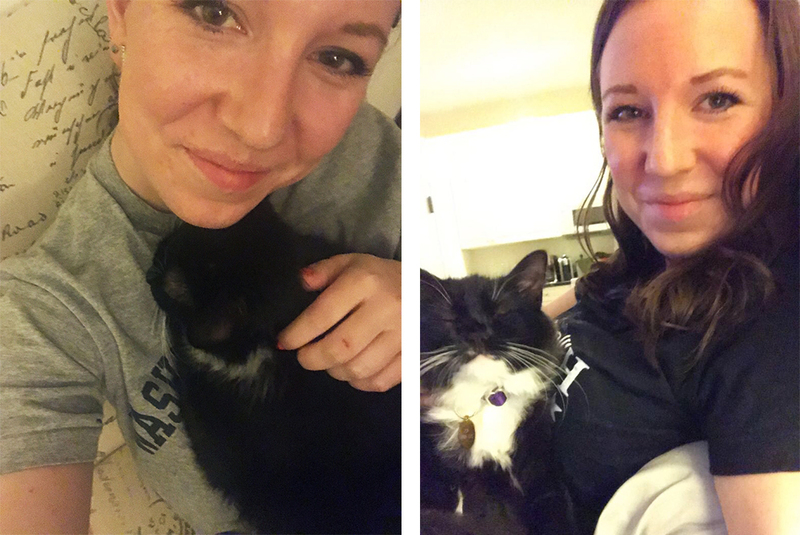 Morgan F. had been patiently waiting for the right time to adopt a cat, and after relocating to New York for work, she was finally ready. Morgan did eventually put Iolanthe down just long enough to make the adoption official, and in early November 2016, the pair went home to begin their newest chapter. After her adoption, Iolanthe was also given a new name—Lucy. 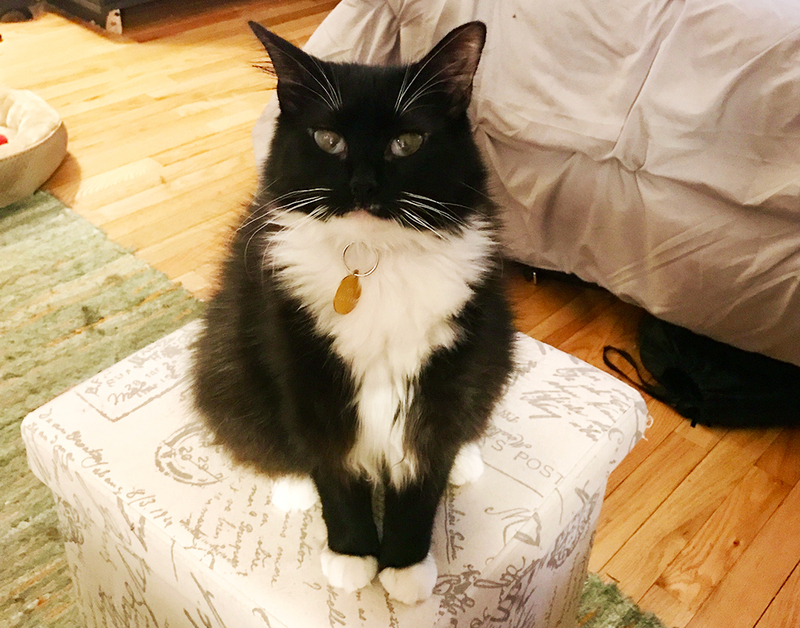 Now comfortable in her home, Lucy has become quite the “chatty Cathy,” and enjoys nuzzling in her pet parent’s neck and relaxing on her back with all four paws in the air. “It never gets old walking into the room and seeing her lying on the bed or a chair, on her back, with her paws up in the air like she has no care in the world,” Morgan tells us. Though Lucy began her journey knowing only fear and apprehension, it took the love of the perfect pet parent to bring the sweet kitten out of her shell. She truly lives the carefree life of a beloved pet. You can create a Happy Tail like Morgan and Lucy’s by adopting a cat from your local shelter today!